Colombo, July 11 (newsin.asia): Sri Lanka must pull back from any plans to implement the death penalty and preserve its longstanding positive record on shunning this cruel and irreversible punishment, Amnesty International said on Tuesday.. The Sri Lankan President, Maithripala Srisena, is reportedly pressing ahead with plans to execute 19 death row prisoners convicted of drug-related offences. “By resuming executions after more than 40 years, Sri Lanka will do immense damage to its reputation. 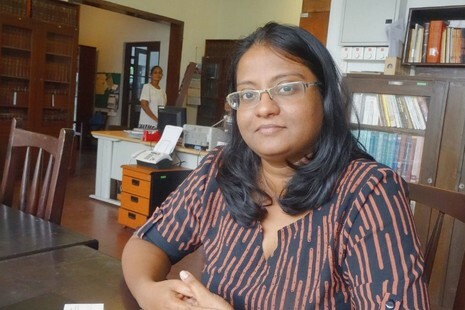 The government must immediately halt plans to carry out any executions, commute all death sentences, and establish an official moratorium on the implementation of the death penalty as a first step towards its full abolition,” said Dinushika Dissanayake, Deputy Director for South Asia at Amnesty International. Amnesty International is absolutely opposed to the death penalty in all circumstances, regardless of the crime or the method of execution. Executing people for drug-related crimes is a violation of international law – which says the death penalty can only be imposed in countries that are yet to abolish it for the “most serious crimes”, meaning intentional killing– and would brazenly defy Sri Lanka’s international commitments, including its repeated votes in favour of a moratorium on the implementation of the death penalty at the UN General Assembly, including most recently in 2016. Sri Lanka carried out its last execution in 1976. “There is no evidence that the death penalty has a unique deterrent effect against crime. Executions are never the solution and, for drug-related offences, constitute a violation of international law. Sri Lanka should choose a more humane and just path,” said Dinushika Dissanayake. As of today, 142 countries have abolished the death penalty in law or practice. In the Asia-Pacific region, 19 countries have abolished the death penalty for all crimes and a further seven are abolitionist in practice. In 2017, as recorded by Amnesty International, executions were carried out in an isolated minority of countries (23), and only 11 of these – or 6% of the world’s total –carried out executions every year in the past five years.